BY CHRISTOPHER DERIS, BOB SNEAD, CARL JOE WILLIAMS, GARY LAVIGNE, BRYAN LEE, RONTHERIN RATLIFF, JESSICA PETERSON, KIERNAN DUNN & AMANDA CASSINGHAM-BARDWELL. Open: Monday-Friday 9-4pm or for special open shop hours on the third Saturday of every month. Developed to fill several needs identified by the local community, Paper Machine is an artistically revitalized property transformed into a unique printmaking ecosystem in the Lower Ninth Ward, New Orleans. 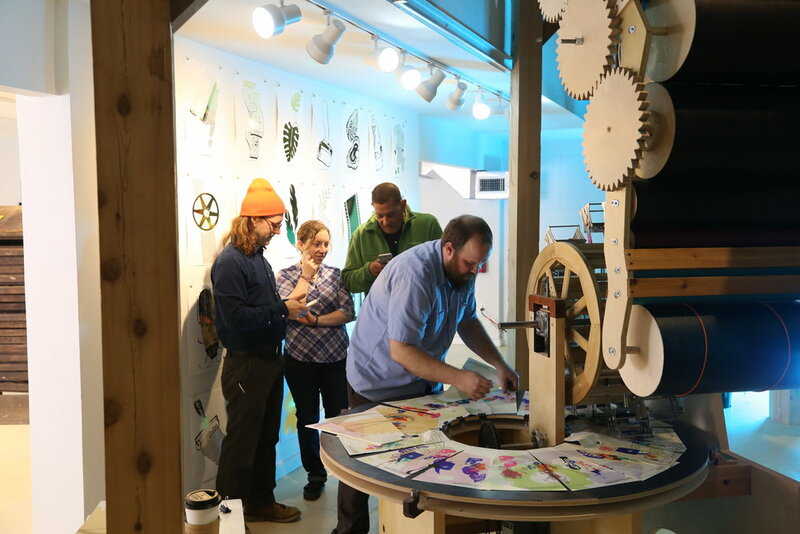 Paper Machine was curated and produced by Dashboard U.S with local stewards Antenna and Southern Letter Press. 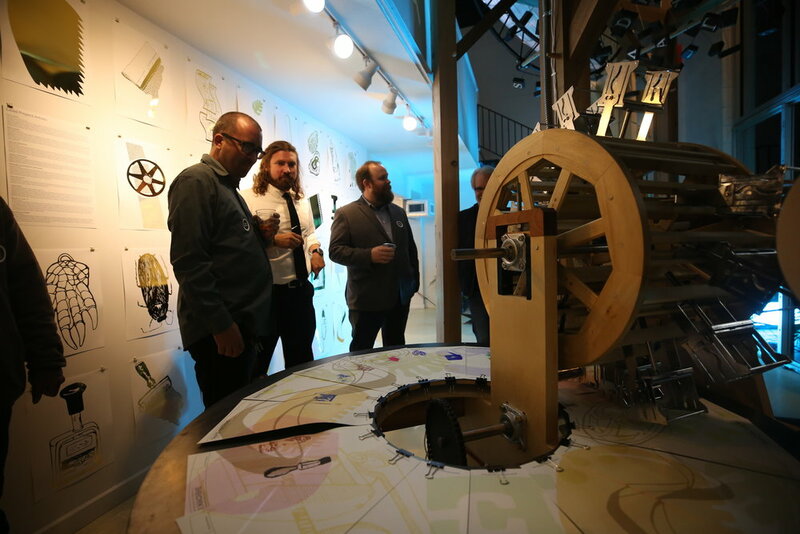 After the initial opening on November 28, 2017, the building and all programming is now managed by Antenna and the Southern Letter Press. 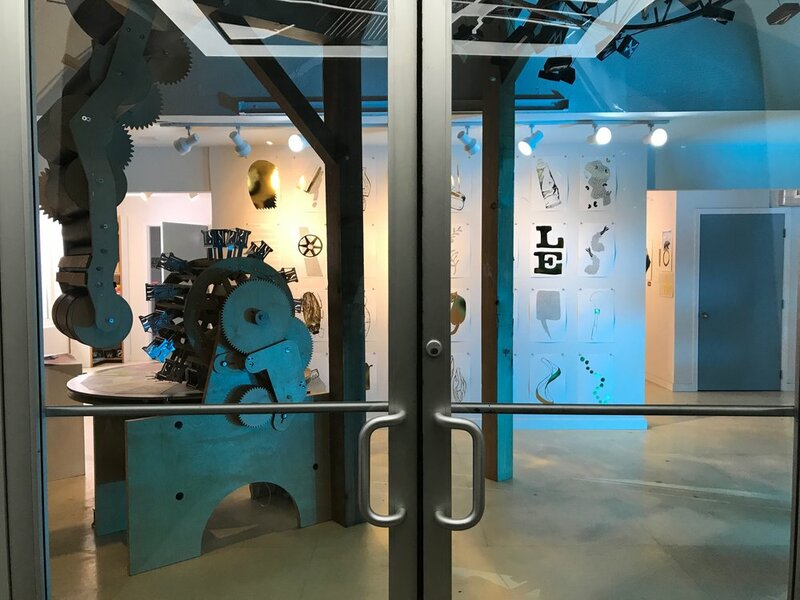 The building encompasses a 20’ kinetic printmaking installation, a digital and analog print shop, a rotating gallery, historic print archive, and several artist studios. 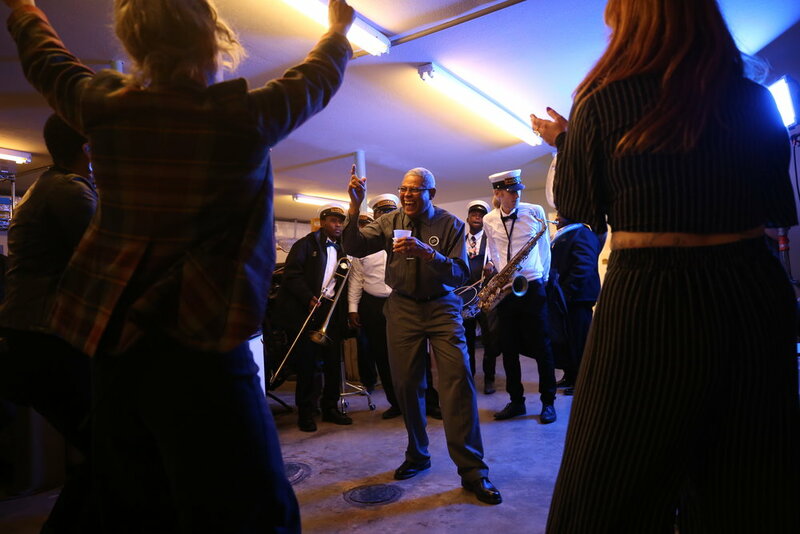 The facility offers free, participatory entertainment to the public, artist-focused programming, and a unique place of rendezvous and opportunity for artists/printmakers in the area. 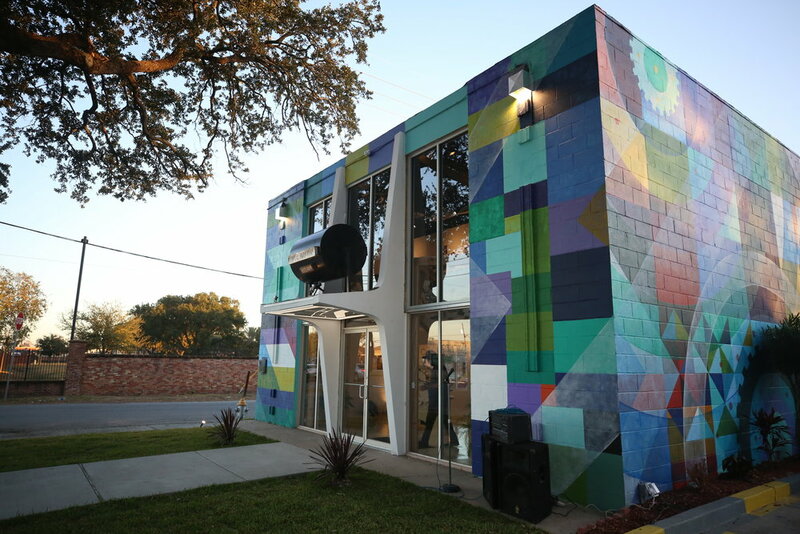 The exterior of the building is wrapped with a bold, graphic mural by artist Carl Joe Williams to complement vibrancy of the surrounding neighborhood. The imagery is inspired by print process and provides subtle nods to the architecture of the kinetic sculpture on the interior. 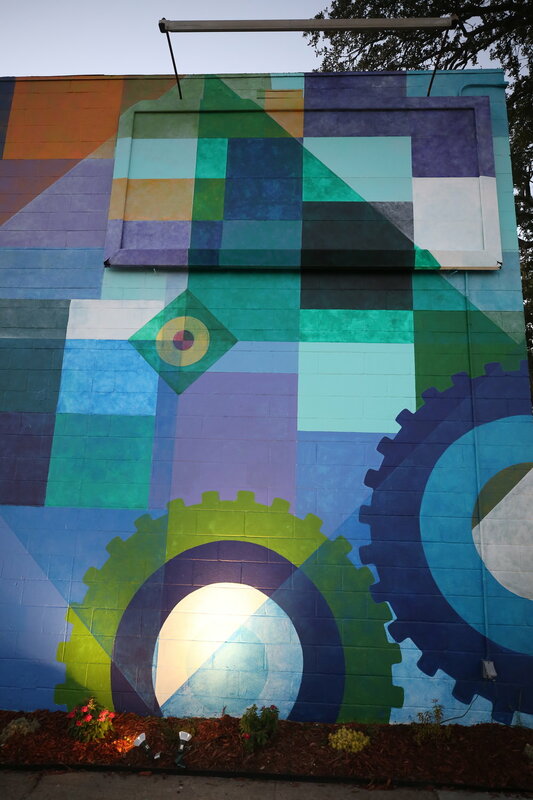 Supplementing the mural on the front facade is a intimately scaled mechanical light sculpture by Rontherin Ratliff. 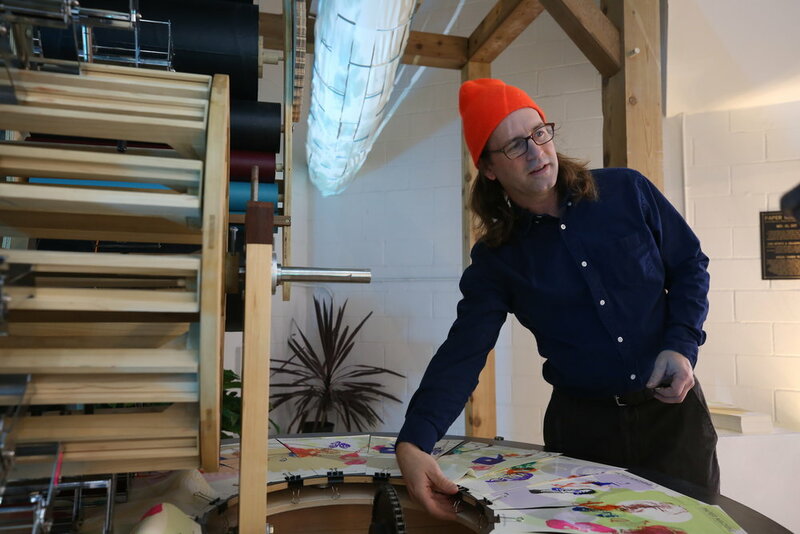 The most colossal facet of Paper Machine is the kinetic, working print machine that dominates the lobby -- designed and built by artist Christopher Deris. Comically involved and incredibly complex, the sculpture, following a series of choreographed movements, produces a one of a kind art print for the visitor to take with them. Beyond the sculpture, visitors will find both a dedicated gallery space and artist studios. Dashboard U.S. was the curator and producer of the project, alongside local members of Antenna. R.J. Reynolds Tobacco Company was also a supporter of the project.